Here's where to watch every episode of The Hogan Family season 2. Mouseover or tap an episode to see where to stream it. Click or tap the play icon to stream it on the best available service. Full Moon Sep 28, 1986 Valerie has a rough morning and the rest of the day doesn't prove to be any better when she gets a call from the school with news that Mark mooned the student body while up on stage accepting a citizenship award. Meanwhile, Valerie also finds herself dealing with David, who is grounded for breaking curfew and Willie who suddenly has in his possession a pair of num-chucks. The Big Fix-Up Oct 5, 1986 Valerie fixes David up with the daughter of a friend of hers, however, David slips into depression when he gets dumped. Meanwhile, the new neighbors, the Pooles have a dog, whose nocturnal barking is keeping Valerie up all night. Of Human Blondage Oct 12, 1986 Valerie's friend Annie encourages her to try out a trendy hairdresser, however, she soon gets more than she bargained for when her hair gets dyed blond. Meanwhile, after tripping over Willie's skateboard, David blackmails him into being his servant. Caught on a Hot Tin Roof Nov 2, 1986 Mark and Willie are intrigued by a slumber party that Annie's daughter is having next door. Tempted, they both decide to sneak a peak, however, Willie gets a peak at something he never expected when he sees, Annie's daughter naked. Leave It to Willie Nov 9, 1986 Couch potato, Willie learns that life is no sitcom after he takes the family car for a spin, hits a parked car and allows David to take the blame, creating a crisis that just might not end happily in 30 minutes. Dr. No Nov 16, 1986 Basketball hero David dreads his upcoming knee surgery, while Mark wishes that the girl who has a crush on him would cut it out. One of a Kind Nov 23, 1986 No one is looking forward to the arrival of Valerie's caustic Aunt Josephine, but once she's there, no one is prepared for her unexpected departure. The Roots of All Evil Nov 30, 1986 Relations are strained between new used car owner David and investors Mark and Willie, who expect to be chauffeured in return. Meanwhile, Annie's elm tree is clogging the Hogans' pipes and threatening her relationship with Valerie. Small Packages Dec 7, 1986 On her birthday, Valerie gets just what she needs when the boys give her a new garbage disposal, and just what she doesn't need when a client who has a crush on her gives her an expensive necklace. The Way We're Not Dec 14, 1986 Michael finds a silver lining in an airline pilots' strike since now he has plenty of time to spend with the family which all too quickly has Valerie and the boys wishing he were airborne again. Boston Tea Party Jan 4, 1987 While heading to Bermuda to meet Michael, Valerie is mistaken for a purse snatcher by airport security and David misses a concert when he's forced to take care of Mrs. Poole's four-year-old niece, Pamela. Never on Tuesday Jan 11, 1987 At a self-defense class, Valerie puts Annie's arm in a sling. At the same time, David may be in some hot water after he leaves the boys with a babysitter to keep a date. Wooly Bully Jan 18, 1987 Valerie's discomfort after a bunion operation is compounded by Mrs. Poole's relentless help. Meanwhile, David takes a sucker punch from his tutor's ex-boyfriend. Bad Timing Feb 8, 1987 Old friends of the family visit for the weekend and one of them is a childhood sweetheart of David's who is now a grown woman who makes it obvious to him that she is still interested in him and suggests that perhaps they should take their friendship to a new level, a sexual one. A Night to Remember Feb 15, 1987 Willie's fantasy date with the prettiest girl in the seventh grade could be realized if he can just persuade Mark to make it a double date with the girl's cousin. Whose Team is It Anyway? Feb 22, 1987 Valerie, the new coach of the twins' soccer team, benches Willie for laziness in practice while David, who wants a new car stereo, is put to work doing chores. 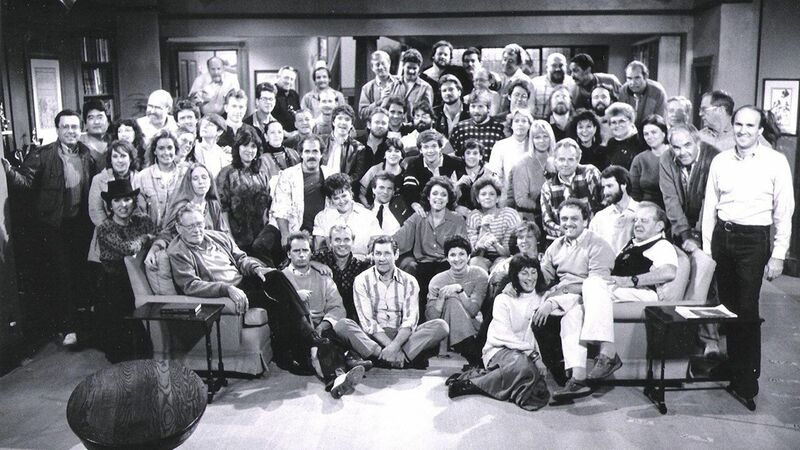 Community Theatre Mar 1, 1987 Although she's sworn off community theater, Valerie finds herself directing Annie's play, placating overworked stagehands Michael, Willie and Mark and trying to replace a leading lady who's under the weather. Hogan vs. Hogan Mar 16, 1987 When Mark's pet lizard dies while in David's care, Mark decides to haul David into small-claims court. Oedipus Wrecks Mar 23, 1987 David takes his dad's new Italian sports car out for a spin to impress a young woman and ends up wrapping it around a tree. Meanwhile, the twins are feeling cooped up with the chicken pox. Shape Up and Move Out Apr 6, 1987 Willie's wanton destruction of his brothers' personal belongings leads David and Mark to give him the silent treatment. Meanwhile, Valerie's dieting failures lead to an exercise in self loathing. Babes in the Woods Apr 13, 1987 After borrowing Mrs. Poole's camper for a trip, Valerie and the boys are stranded in the woods when thieves with a taste for all the modern conveniences take off with it. The Return of Uncle Skip May 4, 1987 Valerie is less than thrilled with another visit from Michael's war buddy Skip Franklin who brings a surprise, his new bride, who may soon become his new ex-wife.